Sage 50 accounting is a business solution software which was previously known as Peachtree Accounting Solutions. 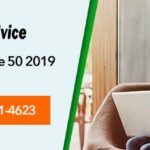 Sage 50 has been serving the business around the United States for past some time now and people have been subscribing the software since then to streamline the business procedures. The software is accountable for various sectors of the business like inventory management, payroll management, reporting and analysis, decision making, sorting the journals and the ledgers, preparing customized invoices and pay orders etc. In the latest version of Sage 50 2018 the software has further developed its skill set and feature set which allows the consumers to rely more on the software and make the procedures automated to save the workforce time and cost. 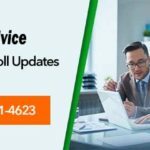 In this article we would describe the new features of Sage 50 2018. 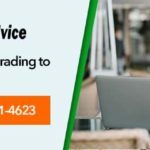 You can get through and understand the software and upgrade it to the 2018 version of Sage 50. 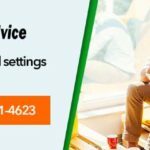 It is the most highlighted feature of Sage 50 2018 version. The interface of the software has been given a whole new different look which facelifts the software. It is a long awaited update because for very long Sage 50 has not updated the software. The core window has been modified with the new look and given monochrome color scheme. There are plenty of spaces and exterior which is horizontal for all the icons and menus. The new inventory features saves time and make the data more reliable. In the inventory system you can look for you last activity and mark the whole session items as inactive. This would allow you to take down the obsolete items altogether rather than marking one by one for each item. In the check register and cash journal reports you now have an empty column which allows you show the check clearing date. When you select the column in the reports and check cleared date it will tell you when the check was cleared in the reconciliation. In the previous update the new feature was the shared link in the emailed invoices which enables the vendors to pay the amount via card or e-check. But the problem was the mandatory pay now link attached to all the invoices. In the 2018 update, you can now turn the option off for all the customers. Sage 50 in the new update has been delivering excellent features. The above mentioned features are the most visible features in the new update. You can go through these features and update to the new Sage 50 accounting software 2018. In case you are unable to understand these features, you can contact our customer support team 1800-961-4623 and get insights on all the features from the Sage 50 experts who are available 24/7.